Former Team Sky cyclist Michael Rogers, who has tested positive for steroids, should face the maximum ban, according to Cycling Australia. The UCI revealed on Wednesday that the Australian rider had been provisionally suspended after testing positive for the steroid clenbuterol. That announcement was soon followed by a statement from Interim Cycling Australia chief executive Adrian Anderson. “While we respect Michael Rogers’ right to defend himself, we will support the maximum sanctions applicable in the event that he’s found guilty of doping,” he said. “The fact that the drug testing process continues to uncover positive tests should be a lesson to all cyclists that if they chose to dope they can expect to be caught. 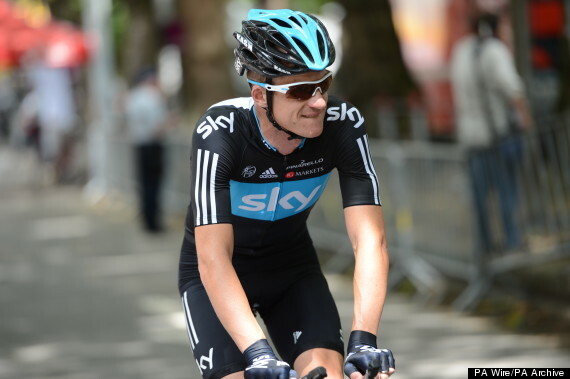 Rogers rode for Team Sky for two years and was a team-mate of Sir Bradley Wiggins at the 2012 Tour de France. The 33-year-old three-time Road World Championships time-trial gold medal winner joined Tinkoff-Saxo at the end of the 2012 season and supported Alberto Contador at the 2013 Tour de France. A statement from cycling’s world governing body read: “The UCI advised Australian rider Michael Rogers that he is provisionally suspended. The decision to provisionally suspend this rider was made in response to a report from the WADA-accredited laboratory in Tokyo indicating an adverse analytical finding of clenbuterol in a urine sample collected from him in a test during the Japan Cup Cycle Road Race on October 20, 2013. “The provisional suspension of Mr Michael Rogers remains in force until a hearing panel convened by his national federation determines whether he has committed an anti-doping rule violation under Article 21 of the UCI Anti-Doping Rules. “Mr Rogers has the right to request and attend the analysis of his B sample.